As the nation grapples with attacks against humanity at home and abroad, a new protest anthem “Resist” made its premiere on VICE’s “Noisey” by recording artist and veteran activist/organizer Rev. Sekou. 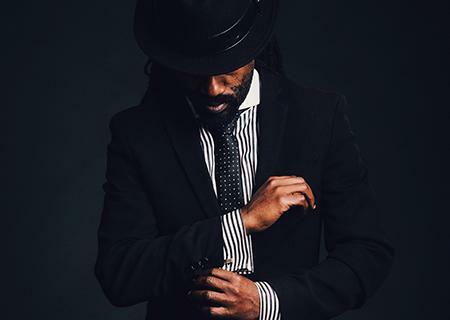 The first single off of Sekou‘s forthcoming solo debut In Times Like These, “Resist” opens with a rousing speech he gave at a rally in Ferguson, Missouri, protesting the shooting of Michael Brown. An homage to Standing Rock— the song’s driving bass line, blaring horns, and potent lyrics champion a long line of freedom fighters. In Times Like These will be released on May 5th via Thirty Tigers. Check out the single, as well as Rev. Sekou‘s accompanying essay “The Task of the Artist in the Time of Monsters,” here. New Client Alert: April Reign New Contest Calls for High School Poets!